We only had 5 boats come out, which I guess wasn’t much of a surprise considering how miserable it’s been on the water recently with the red tide and frequent thunderstorms. On the other hand we didn’t have our first race until 10/21 last season because winds of around 20 knots drove the four boat fleet in before we started. Spray actually did sail around the course and we had some fun. In any case, this year was an improvement on last year. I picked going around the nearly equilateral 5.22 nm triangle clockwise. With the east wind it’s sometimes a bit hard to choose a direction that will produce a decent windward leg, but the nice weather made the sailing fun anyway. Caribe Time started first followed by Stinger , Seas The Day, Spray (That’s us) and Raegan-e. We were the only boat to fly a spinnaker, though I’m surprised the Reagan-e and Seas The Day didn’t. In our case the spinnaker caused us some problems, especially on the second leg where some tangles had us sailing down wind trying to get it down, which was not getting us closer to the next mark, for several minutes and then once we were headed in the right direction a tangled line prevented getting the Genoa unfurled. To top it off, we broke the Genoa sheets twice! It’s a wonder that we made it around at all! Raegan-e started in the back and had passed us all by the time she reached the final leg, and sailed off to a commanding win. After the race we turned the Genoa sheets around and tied on the better ends that had been inboard previously. No more breaks that day. Seas The Day and Caribe Time decided to head in after the first race, leaving us with a fleet of just three boats. I called for the same course, which was probably a mistake, because the final leg was not a good windward leg, but a port tack fetch. We decided (actually my crew mutinied and decided) not to fly the spinnaker for the second race but, unfortunately, I forgot to take advantage of a 1 min. head-start that I could have claimed. That might have been useful, because we passed Stinger and held off Raegan-e until we got to the second mark, when Raegan-e snuck in front just as we were rounding. If we had a one minute lead at that point, it’s possible that we could have covered them to the finish, especially sense it was a one-tack beat. On the other hand, they beat us by a whopping 4 min., so we were probably going to lose anyway. I was exhausted by the time we back to the slip, and ended up sitting on the boat well after everyone else had left. I had some pretty serious health problems during the summer and had thought I was pretty much OK, but it’s clear that I have a way to go before regaining my strength, if I can ever do that. 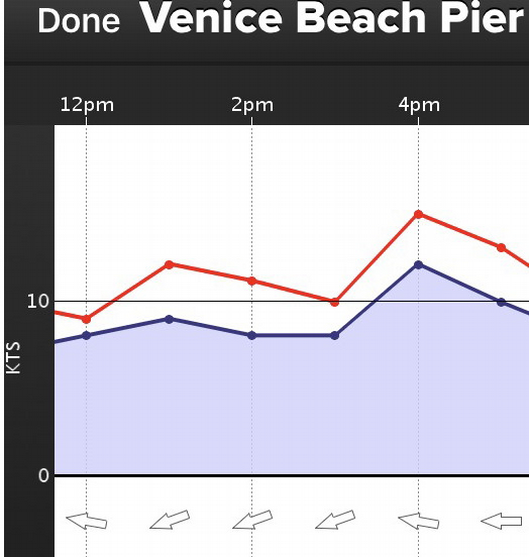 One interesting feature of the day was the strong ebb tide that was running out of the inlet all afternoon. 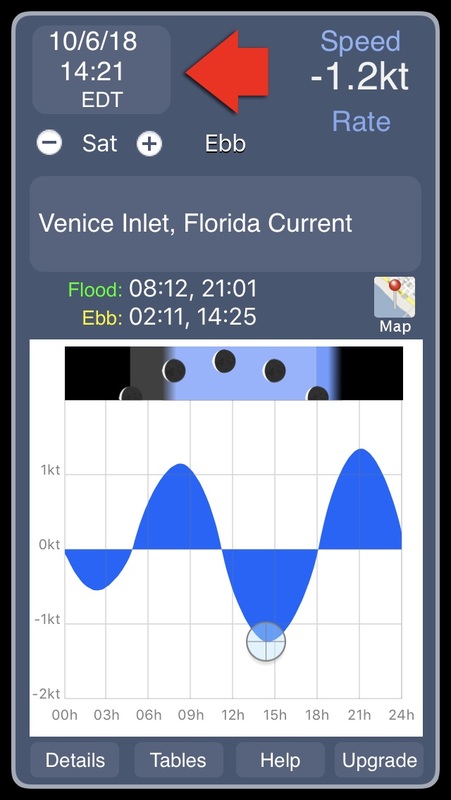 The current between the jetties was predicted to be ebbing at 1.2 kt at 14:21, just as we were finishing the first race. That current appeared to run straight out to our start-finish line and made tacking into it a slow and frustrating process. If a boat which could in no current sail at 6 kt while going up wind and would normally tack through a 90 deg. angle is actually bucking a 1 kt adverse current it would then tack through 102 deg and only make 3.42 kt good to windward. To the sailors it looks as if they are not making much progress toward the marks and they will constantly be tacking too soon and failing to make the marks. We all saw that happen Saturday. Our next VSS Race day is Saturday, 10/20 and the Sarasota Yacht club regatta is Saturday, 11/3.